’blood’ = ‘human feeling’； a ‘stone’ = ‘a hard-hearted person’. The reference is to ‘avarice’. To ask the help of a person who is so full of greed and lust for wealth that he feels no sympathy at all for others is as useless as trying to get blood out of a stone. 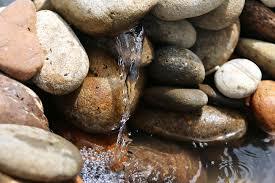 Other Learning: You cannot get water out of a stone.